In Search of Sir Lancelot – History… the interesting bits! I have always had a soft spot for the Arthurian Romances. I love the legend of King Arthur and really hope that there was a historical Arthur who inspired the original tales. His Knights of the Round Table are held up as models of chivalry throughout Europe. And the recent discovery of some wonderful wall paintings of Lancelot du Lac in a Ducal Tower in Siedlęcin in Poland is simply incredible. Rodengo, Schmalkalden and Siedlęcin: Where Did the Knights of the Round Table Go? King Arthur is mortally wounded and taken to the isle of Avalon, the cream of the crop – his best knights dead. With their passing the age of chivalric deeds and marvelous exploits is over. Is it really? After all, what the king and his knights have left behind is an extensive body of literature and next to Arthur himself, each of the knights has his own story to be told and retold. And their stories have been retold many times in several versions in different languages. Some of Arthur’s knights were so celebrated that their fame spread from the literary world to the world of art, music and architecture. Today I am going to focus on the two of these knights, both very popular and with an enormous impact on the literary world. Yvain and Lancelot, for they are the ones, became the main characters of Chretien de Troyes’ romances and many other poets and writers that followed and based their versions on Chretien’s. A few groups of the wall paintings, for example, presenting their deeds and exploits survive scattered across Europe. 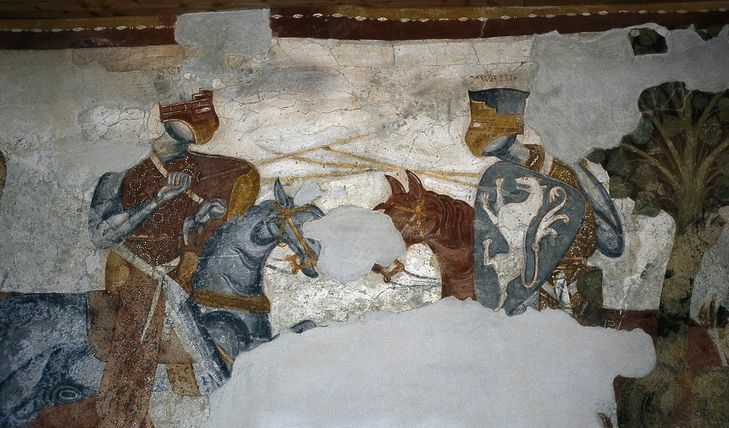 The most famous murals are certainly those painted by Sir Lancelot himself in the Prose Lancelot, but let me take a closer look at those painted on the walls of medieval castles, towers and houses. One look at Castel Rodengo mounted on a hilltop covered with thick verdure is enough to give the impression that Yvain’s wish has come true, fortunately the surrounding land is not as wild as it may seem and everyone has a chance to visit and admire the wall paintings preserved inside the former castle chapel, dedicated to St Nicholas. 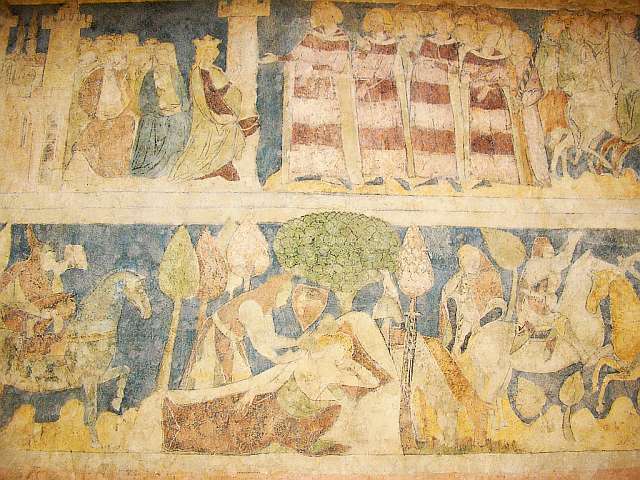 Dating back to the 1220s, the cycle depicts the story of Ivain as told by Chretien de Troyes and Hartmann von Aue and is an “extraordinary document without known precedent: the oldest surviving representation in the monumental arts of the High Middle Ages of a profane narrative subject in the context of profane architecture”. Little wonder that the discovery of the murals in 1973 caused a great sensation. 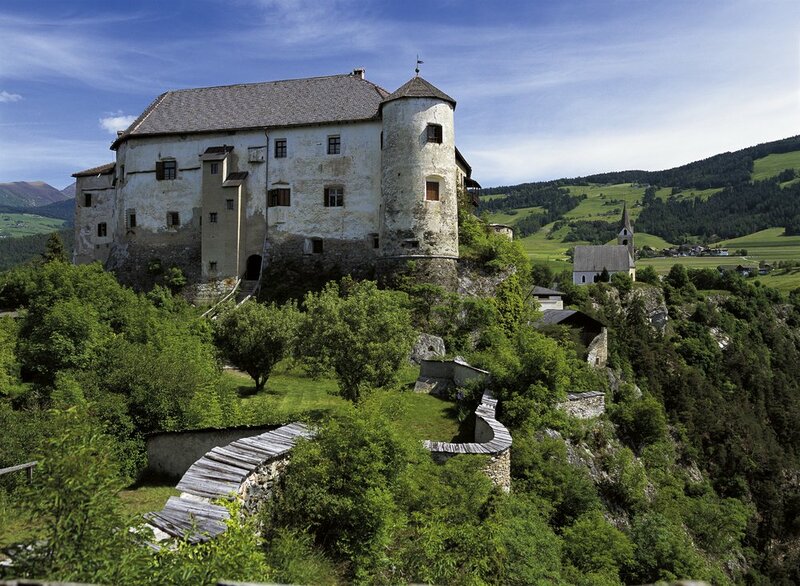 The castle itself was built c.1140 near Bressanone, in the South Tirol, and is known variously as Schloss Rodenegg or Rodeneck after its first owner’s surname: Federico I di Rodank. From the late 16th century to the 1970s, the paintings remained hidden under cover of vaulting and flooring. Eleven Yvain scenes represent the episodes from the first half of the epic, with the end of the story not depicted which led to speculations that the paintings were created before Hartmann completed his poem. In further search for Ivain we move from the north-east of Italy to the central Germany, where in the small town of Schmalkalden, Thuringia, one more fine example of the remarkable wall paintings survive in the basement of the 13th-century Hessenhof house. This cycle is more extensive than the one at Rodengo, the surviving 26 scenes having been probably created between 1220 and 1230. The knightly adventure presented in them is shown as a game and courtly leisure. 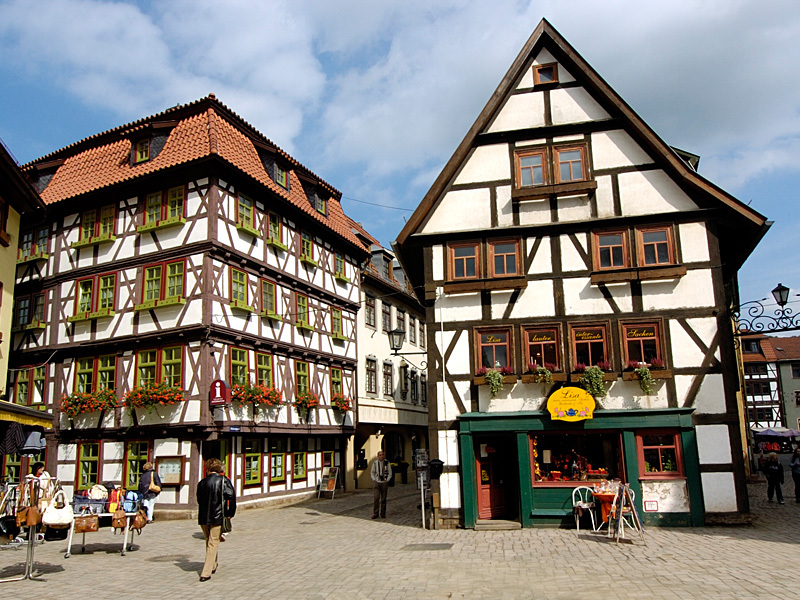 The Schmalkalden murals are the oldest surviving secular wall paintings in Germany. Henry I of Jawor was the 3rd son of Bolko I The Strict and Beatrice of Brandenburg, he was born in the early 1290s. His father died while Henry was still a child and it was not until 1312 that Henry assumed control of his Duchy of Jawor. Situated in Lower Silesia, it was only Henry’s political acumen that kept Jawor independent from its larger neighbour, Bohemia, despite other Silesian Dukes were swearing fealty to Bohemia’s king, John the Blind. After joining a coalition against King John Henry married Agnes of Bohemia, only daughter of the late king Wenceslaus II of Bohemia by his 2nd wife, Elizabeth of Poland. Although the marriage proved childless it did make Henry a rival claimant to Agnes’s half-brother, King John, for the Bohemian throne. The Ducal Tower at Siedlecin was built by Henry shortly after he assumed control of Jawor. 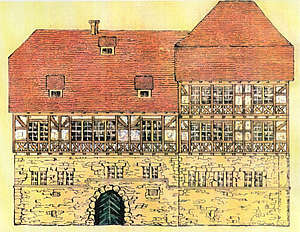 One of the most important medieval residences in Central Europe, the Medieval mural paintings are in the great hall, on the 2nd floor of the keep. 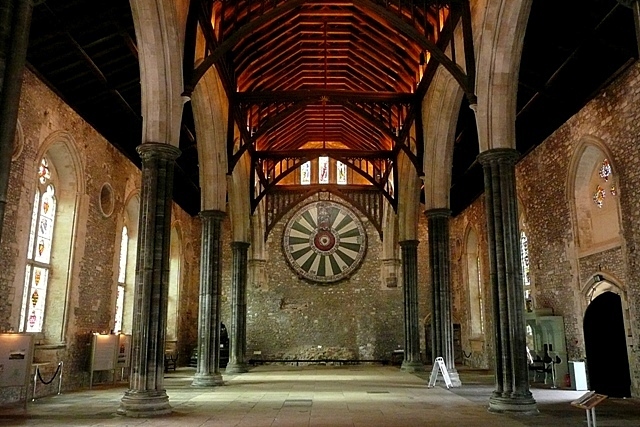 Commissioned in 1345 by Duke Henry, they remained unfinished following the Duke’s death in 1346. Arthurian legends were very popular in the courts of Medieval Poland and Silesia,, but these paintings are the earliest surviving examples. 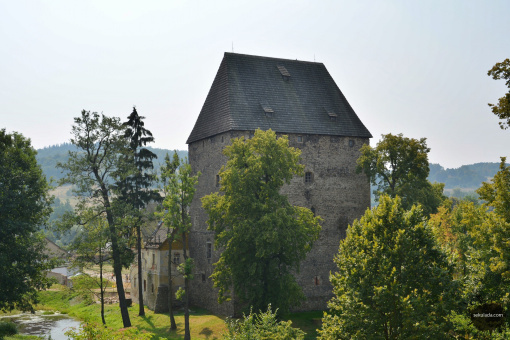 Sir Lancelot managed to hide unidentified in the ducal tower of Siedlęcin for almost 700 years. 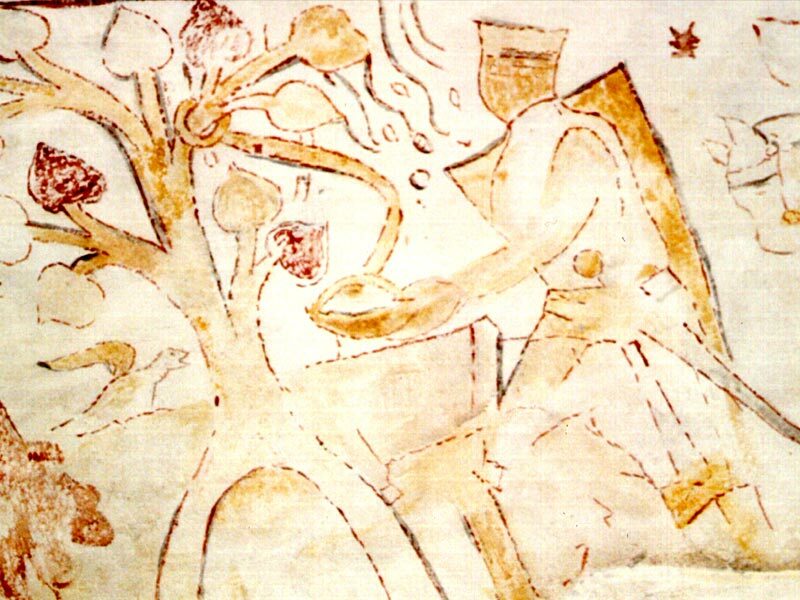 Fortunately his true identity was revealed, for today the Siedlęcin is the only place in the world where Lancelot wall paintings have been preserved in situ. The true subject matter of these remarkable 14th-century murals was not recognised until 1990s. Their major conservation was carried out in 2006, actually saving them, for they were in a very poor condition – they had been almost lost due to perfunctory conservation process carried out in the 1930s. The Siedlęcin group includes representations of the scenes from the Vulgate Lancelot, which were to be the main source of Sir Thomas Malory’s romances in the 15th century……. There are 4 scenes depicting the court of Camelot. The 1st shows Arthur’s queen Guinevere with her ladies, followed by Guinevere’s kidnapping by Meleagant and her rescue by Arthur’s champion, Lancelot. Below these are representations of Lancelot and his cousin, Lionel; Lancelot asleep under an apple tree and Lionel sleeping on guard. Then we see a duel between Lancelot and Tarquin and Lancelot with Arthur’s brother, Sir Kay. The unfinished portion depicts a duel between Lancelot and Sagramour and the healing of Urry de Hongre…..
Today Siedlęcin really is the only place in the world where you can still admire the Lancelot paintings preserved in situ. For more details on the Ducal Tower at Siedlecin, just click here. Pingback: Guest Post: Bewitched by a Castle by Mary Ann Van Sickle – History… the interesting bits! Pingback: Guest Post: “Painted Tower in Siedlęcin” – History… the interesting bits!